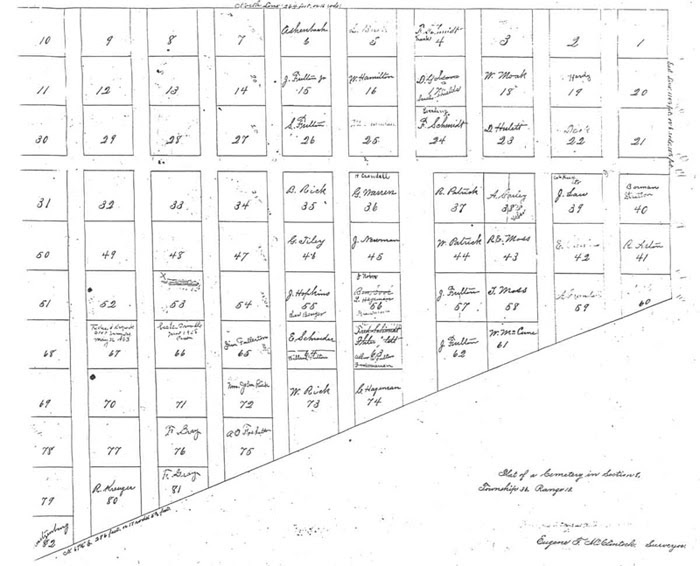 This is a copy of the original plat map located within the files of the Land Management Office in Cook County, Illinois. It was surveyed by Eugene F. McClintock and is almost identical to the original on display at the Tinley Park Historical Society, Tinley Park, Illinois. The following Google map was created by the Bachelors Grove Cemetery & Settlement Research Center.